ARIES (March 21 to April 19): With new facts to work with, you should feel more confident in moving ahead. But continue to do so at an unhurried pace so you can spot details you might otherwise miss. TAURUS (April 20 to May 20): Taking on that new workplace project could be one of your smarter career moves. Expect a surprising show of support from someone who had always been a critic. GEMINI (May 21 to June 20): You might feel you’re too busy to undertake a new responsibility. But check it out before making any decisions. What you learn could persuade you to change your mind. CANCER (June 21 to July 22): You feel quite content enjoying all the comforts of home right now. But the urge to travel grows stronger, and by week’s end, you could begin packing your bags. LEO (July 23 to Aug. 22): A hectic period begins to ease up, but that doesn’t mean the Fine Feline can do much catnapping these days. You need to finish those old tasks and prepare for new ones. 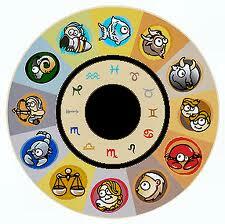 VIRGO (Aug. 23 to Sept. 22): Expect to get some good news about your financial situation by week’s end. But it could still be too early to rush out with a long shopping list of things to buy. LIBRA (Sept. 23 to Oct. 22): Your management skills make an impression on some workplace VIPs who might be looking for someone like you to take on an upcoming project. Good luck. SCORPIO (Oct. 23 to Nov. 21): Meeting a former adversary might be unsettling at first. But time has softened hard feelings, and you could be on the brink of starting a new relationship. SAGITTARIUS (Nov. 22 to Dec. 21): A troubling situation close to home might cause you to change your travel plans. But getting all the facts before you act might cause you to reconsider. CAPRICORN (Dec. 22 to Jan. 19): You might be quite alone right now in deciding to support a major workplace shift. But others will join you as new information supports your bold move. AQUARIUS (Jan. 20 to Feb. 18): A former co-worker returns with news that could persuade you to reassess recently made plans. Be sure to consult with a trusted colleague before you act. PISCES (Feb. 19 to March 20): Your motives behind a recent decision could be called into question by a rival. But once you present the facts, all doubts will be resolved. Enjoy an arts-rich weekend. BORN THIS WEEK: While you love being the center of attention, your generous heart allows you to share the attention with others.